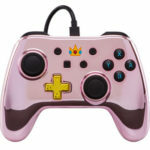 Some might be familiar with PowerA’s wired Switch controllers. 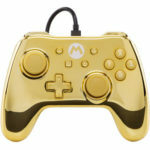 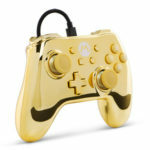 The accessory maker has come out with a new series of wired Switch controllers with chrome aesthetics. 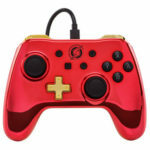 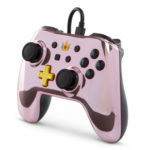 Going fo $29.99, the Chrome series has four designs, the Gold Chrome Mario, Pink Chrome Peach, Red Chrome Samus Aran, and Blue Chrome Zelda. 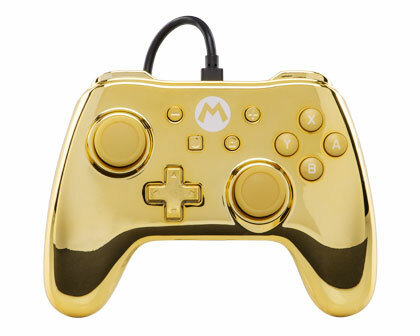 All of them are officially licensed by Nintendo.